After yesterday's record snowfall here in Central Kentucky, I am feeling a bit housebound. 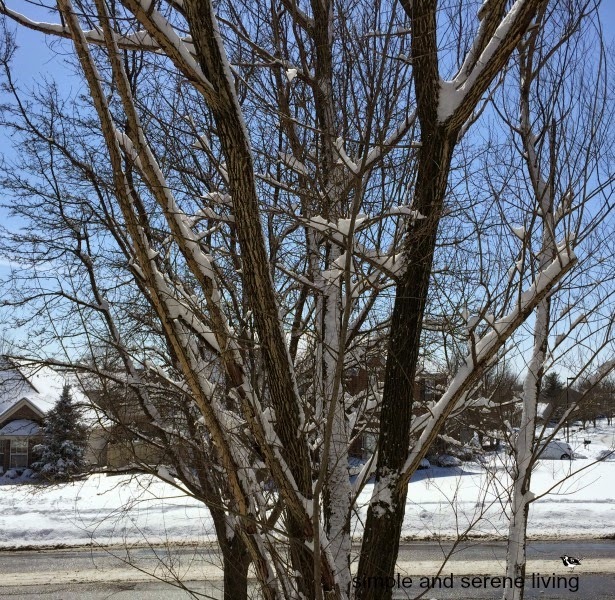 It's a very cold morning, and although the sun is shining in a brilliant blue sky, my car is surrounded by snow, making it difficult for me to get out. Seemed like the perfect time to pull some ingredients together and make an apple pie. For those of you who have followed me for a while, you know that I am gluten free and eat organic, so I had to see what I could find in my pantry and refrigerator. I love when it's ready to pop in the oven because I know the whole apartment will smell wonderful. The original recipe that my mom and I cooked is from an old Better Homes and Gardens cookbook. While we are waiting for it to come out of the oven, here is my tweaked version. 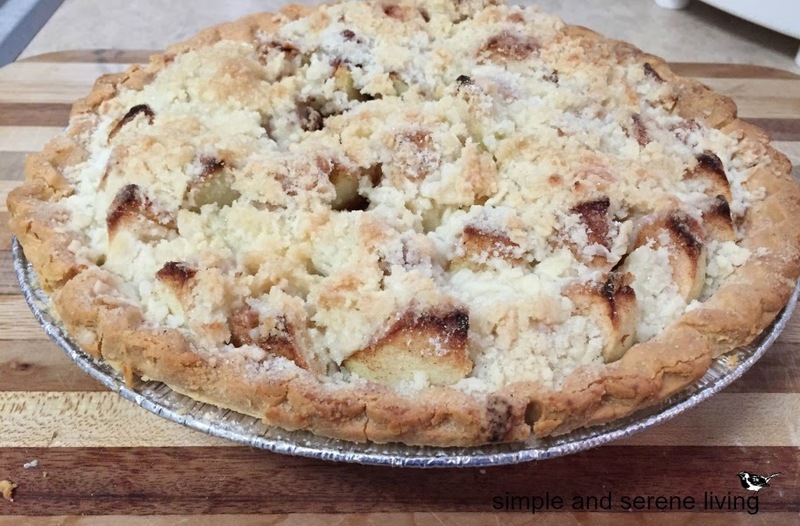 Gluten Free Apple Crumb Pie. Pare apples: core and cut in eighths. Arrange in unbaked pastry shell. 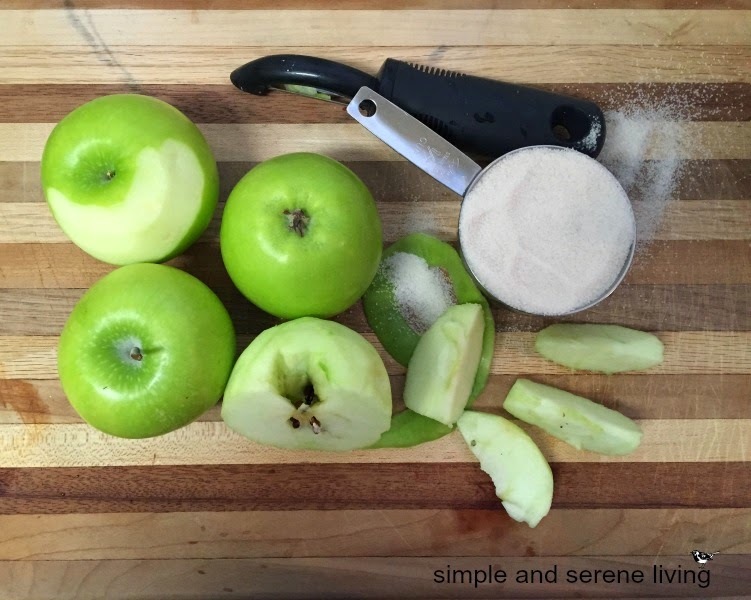 Mix 1/2 cup sugar and cinnamon; sprinkle over apples. Mix 1/3 cup sugar with the flour; cut in butter till crumbly. Sprinkle over apples. Bake at 400 degrees for 35-40 minutes until done. If pie browns too quickly, cover edge with foil. Cool. Pass whipped cream. This just might chase away those winter blues. Oops, I forgot the whipped cream. If you'll stop by the market and pick some up I'll save you a piece of the pie. That sounds wonderful, Laura...and a bit healthier than most recipes for apple pie. My mother made the best apple pie I have ever had. She always used pure lard in her crusts....lol...imagine! Us too with a snowfall yesterday... Hurry Spring! I think your recipe will be made and enjoyed by me!!! It's delicious, Vera. I am so happy that the snow will be melting away this week. Laura, that looks absolutely delicious....enjoy! I never could make pie crust. But yours looks great! When it comes to baking, pie crusts are the one thing I have never been good at either, Brenda. SHHHH!!! Don't tell anyone but this was a frozen gluten free pie crust. Delicious and really light. Hmmmm fozen gluten free pie crust. I haven't seen that before. I can smell all the way here. They are really good, Debby. I got mine at Whole Foods, but I have seen them other places, too. Spring is on its way here this week. Hooray!!! Enjoy your apple pie. Looks delish, Laura. Wish I had a piece right now! Have a great weekend! That pie looks delicious! That's a good pie to have served warm on a cold brisk day. I saw on the news where y'all have had a ton of snowfall and people were trapped on the interstate for a whole day! I hope that you're finally thawing out and warming up. We have beautiful blue skies here with chilly temps but it won't last long. We're supposed to have rain most of next week. Yuck! My neighbors daffodils are starting to bloom so that tells me that Spring is not far away!